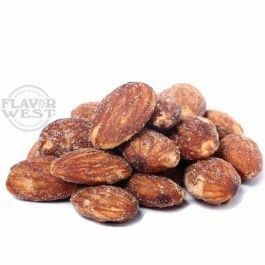 The taste of fresh toasted almonds gives the opportunity for those who don’t really like a strong and dominant flavor to explore. Tantalize your taste buds with this nutty flavor. Type: Toasted Almond Water soluble Flavoring. Usage Rate: 15-20% Ingredients: Natural and Artificial Flavoring, Propylene Glycol and Ethanol. Flavor suitability: Ideal with baking and so much more. Specific Gravity: 1.06 No Refunds on Flavoring.